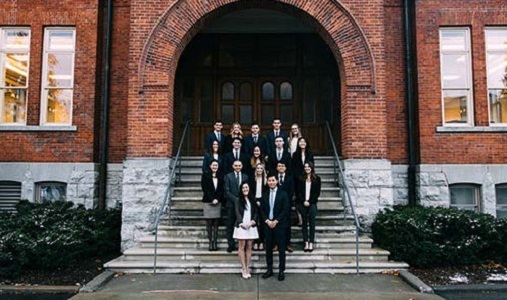 The main role of the Queen’s Case Competition Unit is to attend various case competitions around the world and compete against other prestigious universities with our abilities to solve pressing business concerns, build a slide deck and present a strategy to a team of judges made up of prominent entrepreneurs and business leaders. QCCU allows us to improve our data analysis and communication skills as well as our public speaking abilities. All of these qualities have helped us become better students and will help us as we begin our careers after graduation. We’ve also been able to help other students in our program. We’ve created a consolidated network and became a resource within the school. Last year, the first year marketing class had us come into all of the different sections to teach them how to do a case. With your help, we want to be able to offer this opportunity to more students as well as travel to more competitions. Please make your gift to the Dean’s Innovation Fund today.